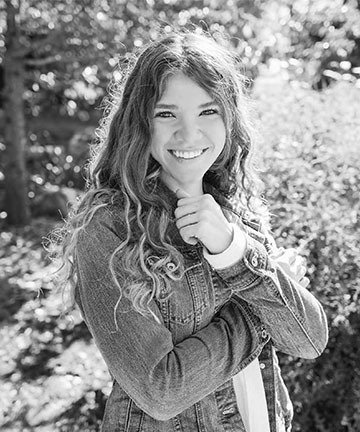 Kirsten is a senior Interior Design Student at Virginia Polytechnic Institute and State University and will graduate in the spring of 2019 with a Bachelor’s of Science in Interior Design. She is ranked 3rd in her class and has been recognized within her program and on the national level for multiple awards and design competitions. Kirsten is passionate about developing a strong and innovative concept at the start of each project and seeing that concept through the brainstorming stages to development. While in school, Kirsten has developed a unique skill set through diverse internships including tangible, hands-on experience gained on-site while interning for a general contractor. Joining the team as a freelancer designer with Carter + Burton Architecture in 2018, Kirsten has worked on the Patsy Cline House Welcome Center along with other commercial and residential projects. In her free time, Kirsten likes to spend time outdoors with her family and her dogs. 2018 - Angelo Donghia Foundation Scholarship | Individual project judged alongside submissions from CIDA Accredited Interior Design programs nationwide. 1 of 12 selected to receive $30,000 scholarship for senior year. 2018 - IDEC Student Design Competition | Individual project judged alongside submissions from CIDA Accredited Interior Design programs nationwide. Tied for first place. 2018 - Bienenstock Interior Design Competition Nominee | 1 of 5 students from Virginia Tech nominated by professors to compete for nationwide scholarship. 2018 - DIRTT Environmental Solutions Award | Chosen by professors and visiting sponsor from DIRTT Environmental Solutions as 2nd place winner for a single project out of 30+ students. 2018 - Gensler Brinkmann Scholarship Nominee | 1 of 2 students from Virginia Tech nominated by professors to compete for nationwide Gensler Scholarship. 2017 - INTEC Group Award Nominee | 1 of 8 students selected by professors to compete for INTEC Group Scholarship. 2017 - Jeanette Turner Bowker Interior Design Scholarship | Selected by professors to receive the only Interior Design Scholarship awarded by Virginia Tech.